Our Great Roofing Denver office is where our company began in 2008. 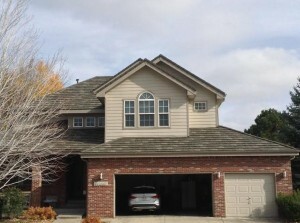 Denver roofing systems are some of the most complex roofing systems in the country. Here in Denver our roofing is subjected to some of the most vastly changing weather throughout the course of the year. During the Denver winters our roofs are constantly covered in snow that can melt as quickly as it accumulates. In the summer the dry heat can crack poorly ventilated roofs quicker than the roads we drive on. During the storm season hail is a constant worry, and premium product roofing systems can allow for not only better protection from storms, but also discounts on home insurance premiums. There are plenty of reasons to have your roof inspected for damage after a storm. These problems can linger for a long time before being noticed, and by that time leaks may be present. This is why a free roofing inspection from our certified Great Roofing Denver salesmen can help prevent roofing issues from becoming interior or foundation issues. Our company’s number one focus is making sure that your roofing system keeps your largest investment safe. Our crews are OSHA compliant and very efficient in the roofing process. Throughout the re-roofing of your home we have a Great Roofing project manager supervising the job as our crews get to work. We pay special attention to the landscaping during the roofing process, and will provide tarps and protection for anything requested by the homeowner. Whether it’s an insurance claim due to storm damage to your roofing system, or your property just needs a new roof due to age, our crews and project managers can handle any roofing system in the Denver area. As a Master Elite Contractor for GAF, our roofing specialists will be able to give you a professional opinion on the state of your roofing system. We can also provide you with roofing warranties that other companies cannot provide! Would you like to see what your home would look like with a NEW GAF roofing system? Be sure to visit our gallery to see a small sample of our residential roofing projects! For a sample of our commercial roofing projects click here!